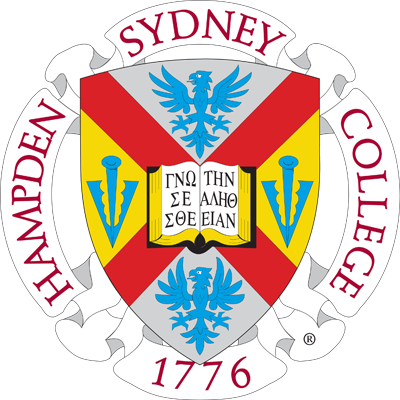 Professor Arieti has taught at Hampden-Sydney College since 1978. Previously he taught at Stanford University, The Pennsylvania State University, and Cornell College. He is married to Barbara Arieti, a guidance counselor at Prince Edward County Elementary School; is the father of two children, Samuel and Ruth; and the grandfather of two granddaughters, Josephine and Clementine and one grandson, Elio. Greek, Roman, and biblical literature and philosophy; ancient history; humanities; the classical tradition. He has served on and chaired innumerable committees; has been the chair of the Humanities Program and of the Classics Department; founded and served as coach of the College Bowl Team; has served as a Freshman advisor. He organized and directed four interdisciplinary symposia with the participation of scholars from across the nation-Science and Mathematics: Definitions Ancient and Modern; Chaos: Ancient and Modern; Oedipus the King; and The Trojan War. Springs of Western Civilization: A Comparative Study of Hebrew and Classical Cultures (2017). Hamartia: The Concept of Error in the Western Tradition. Essays in Honor of John M. Crossett (1983). He has delivered nearly one hundred papers at professional conferences, colleges, and universities in North America and Europe and has published nearly forty articles on subjects that include ancient warfare, Dante, Empedocles, Greek athletics, Herodotus, Homer, Horace, Livy, Machiavelli, Philo, Plato, Rhetoric, the Septuagint, and Shakespeare. His doctoral dissertation dealt with the Septuagint, the translation of the Hebrew Bible into Greek. He is currently at work on a project on biblical and classical cultures. Among his honors are membership in Phi Beta Kappa, Eta Sigma Phi, and Phi Alpha Theta. He was selected as a Woodrow Wilson Fellow, a Stanford University Fellow, and a National Endowment for the Humanities Fellow. In 1996 he received the John Templeton Prize for Science and Religion. At Hampden-Sydney College he has received the Mettauer Research award three times, and, in 1995, was awarded the Graves H. Thompson Chair.